إن فندق Olde Mill House Bed & Breakfast and Cycle Hire بموقعه الممتاز في Blenheim City Center هو نقطة انطلاق جيدة لنزهاتك في بلينهيم. يمكن من هنا للضيوف الاستمتاع بسهولة الوصول إلى كل ما تقدمه هذه المدينة النابضة بالحياة. يضفي محيط الفندق اللطيف وقربه من The Vines Village, Woodbourne Airport, Allan Scott Family Winemakers سحراً خاصاً على هذا الفندق. 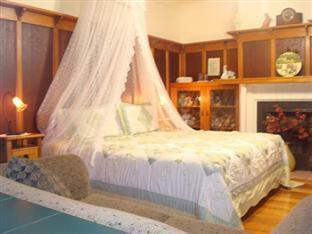 كما يقدم Olde Mill House Bed & Breakfast and Cycle Hire الكثير من الخدمات لإغناء رحلتك في بلينهيم. يقدم الفندق فرصة للاستمتاع بشريحة واسعة من الخدمات بما فيها: واي فاي مجاني في جميع الغرف, واي فاي في المناطق العامة, صف السيارات, التوصيل من وإلى المطار, مرافق للشواء . لقد جهزت هذه الإقامة الفندقية بعناية فائقة لتوفر مستوى عالي من الراحة. في بعض الغرف يجد النزيل اتصال لاسلكي بشبكة الإنترنت (مجاني), غرف لغير المدخنين, تدفئة, شرفة/ تراس, ستائر التعتيم. صممت خدمات الاستجمام في الفندق والتي تتضمن حوض استحمام ساخن, حديقة لمساعدتك على الاسترخاء والراحة. 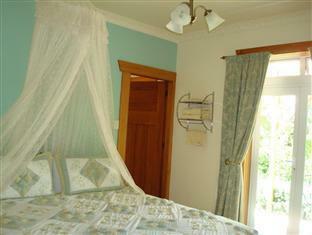 إن Olde Mill House Bed & Breakfast and Cycle Hire هو خيارك لخدمة الفنادق الراقية في بلينهيم. Mark and Janice made us feel very much at home at their place, very good tips for exploring the wine region, and the bicycles were great to hop between the different cellar doors! As soon as I arrived I was warmly greeted. All information was given straight away, including good places to eat. Breakfast was Simple but delicious (especially the jams). I was given a selection of bikes to use and a map and helpful information was given. If I were in the area again, I would definitely stay here. We had a great stay at Olde Mill House. The house and rooms were great, lots of character and very individual. The breakfast was great with many home-made preserves, and the free bike hire service provided to guests was brilliant. We had a fantastic day wine tasting by bicycle! Would recommend this to anyone visiting the local area. Renwick was a lot nicer than Blenheim so definitely recommend staying here. Olde Mill House is such a welcoming place and you're made to feel right at home. The room was clean and spacious and included lovely little touches like chocolates for guests. The breakfast was varied and great quality, especially the homemade jams and preserves. It's a great base for exploring Marlborough. Right in the middle of vineyards, included bike hire, nice rooms, good breakfast, helpful hosts. Very pleasant, would return without hesitation. big rooms and nice locations. lovely room but not child friendly at all and felt very aware that i had a two year old in a boutique B+B. I would say the owners were not impressed with my boisterous child and may be should make it child free. Also, a communal lounge would have been nice as no one staying felt comfotable sharing the lounge with the owners who were sat watching rugby so we all sat outside freezing!!! most bizarre. Husband was most dissapointed with breakfast as not cooked. he had to go to subway after! room chilly and no heating. Renwick has no decent dining options. Better to stay in Blenhiem. Comfy room, great location, spa bath in garden! Had a great stay, hosts were friendly and helpful and after a hard day wine tasting a dip in the hot tub was perfect! Wonderful. If we get the opportunity, we will definitely stay there again. This is a superb B&B. We were made very welcome and made to feel at home. 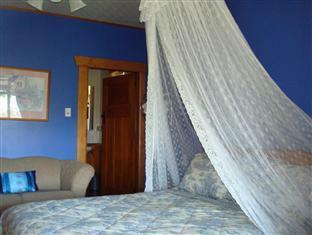 The room was excellent, with homely furnishings. Breakfast was very good. 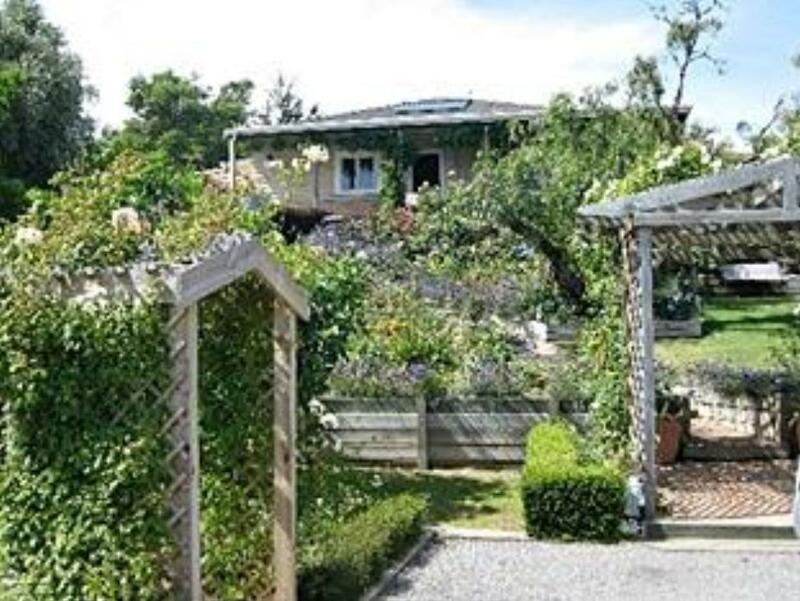 The owners keep a magnificent garden and the viewa of the Blenheim countryside are magnificent. The location is actually in Renwick, a quiet village a few miles West of Blenheim. Local attractions include wineries (several of them) and a fantastic museum of World War I aircraft back on the road towards Blenheim. Our two night stay was exactly what we needed after two days of traveling. It was very convenient to the wineries. We got our bikes from them with maps showing us where to go for a bike tour of the wineries. The hosts were very helpful and friendly and offered a beautiful garden to enjoy while we were there. The breakfasts were delicious. They offered wireless internet and a place to wash clothes if needed. Overall I would definitely stay here again and recommend it highly! I had a wonderful 4 nights at Olde Mill House B&B, enjoyed the large and comfortable bed, and was very pleased with the friendly service. Cleanliness, friendly owners, the free bike hire. I had a great stay, was a great location, use of the bikes added to the value tremendously, nice breakfast setting, friendly owners. Great hosts, nice room, bike hire an added bonus. The hosts of this BnB and lovely and welcoming. It has a lovely hot tub. They offer free bike hire for wine tasting which was a real highlight. Breakfast was great. Highly recommended. Well cared for, clean, tidy and friendly. Great location for touring the vineyards and complimentary bike hire when you stay. Very helpful hosts. Lovely for a weekend stay. Wish we could have stayed another night. Great value for money.